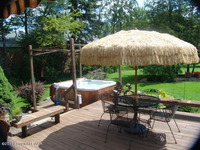 Perfect Pocono Mountain Getaway Near Island Pool in Arrowhead! 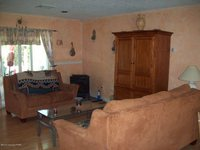 Great Well Taken Care of Country Chalet Setup to Sleep 8-9 Kiddies up in the loft while Moms and Dads can enjoy the Two Bedrooms on the Main Floor! 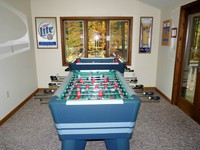 Walking distance to Island Pool Facilities in Wonderful Family Oriented Community of Arrowhead Lakes. Enjoy Swimming, Fishing, Boating, Hiking and anything else that Promotes Great Outdoor Memories! 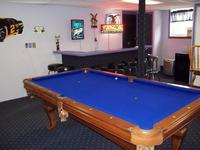 This home provides 2 doubles on the first level, and 7 singles and 1 double on the second level. 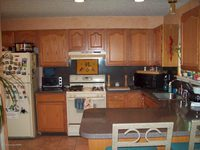 Great in location being close to the Island Pool which boasts a Lake, Heated Pool, Playground for the kids, Tennis Courts, and opportunities to Fish, Boat, and have Family Picnics and Cook outs. 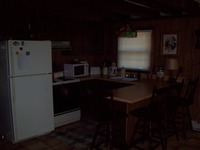 The home comes also comes with Washer/Dryer, Charcoal Grill, Wood Fireplace, Stereo, and a Deck with Furniture and Picnic Tables. This is certainly a Perfect Home to have a Memorable Family Getaway in, and create a Pocono Mountain Memory that lasts forever! 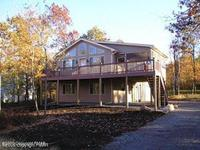 Brand New Lakefront on the Big Lake at Arrowhead!! Bells, Whistles and Much, Much More!! If you wait till Summer You Will be Too Late! Corian Counters, Wood Floors, Upgrade Cabinets and Lighting or you pick your goodies! 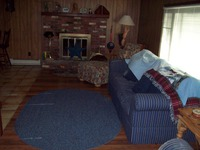 This is a 4 Bedroom 3 Bathroom 2,083 Square Foot Beauty. This is a Contemporary Home with a 1 Car Garage, Central Air Conditioner, and a Jacuzzi Tub in the Master Bathroom. Right next to the new Member Service Building, Clubhouse, and Arrowhead Lake Welcome Center! The Pocono Mountain Victorian Classic in the Pines! Fabulous and LARGE - Big, Beautiful, and just 2.5 Miles to the Slopes at Big Boulder. 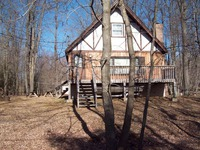 Great Lake Community and Close to Everything Sacred in the Poconos!!! Whitewater Rafting, Skirmish, Hiking, Biking, Hunting, Pocono Raceway, H2O Waterpark and more. 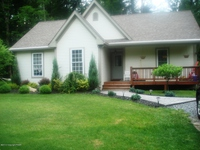 This 3 Level Beauty of a home is located in Brier Crest Woods, and sleeps 14 people. It has 1 double, 2 bunk beds, and a sofa bed on the second floor, and 2 singles 2 queens on the third floor. This is certainly a Perfect Getaway Retreat for a family reunion, or a gathering of a friends to enjoy some time in the heart of the Pocono Mountains. 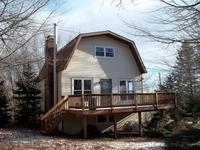 Not only is this home great in location and size, it comes with a few of its own toys including a deck, deck furniture, DVD player, a stereo, and a pool table. This home also comes with your refrigerator, washer/dryer, and dishwasher. Check in now because I'm sure it won't be available for much longer! 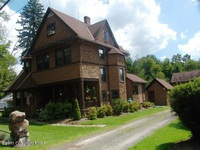 The Shangri La of the Pocono Mountains known as Brier Crest Woods is located in Blakeslee Pa, and it is just 2.5 miles from Jack Frost/ Big Boulder Ski Resorts. It is also a 5 minute drive to the sacred Pocono Raceway. 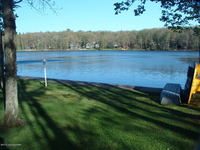 Brier Crest Woods Community and its 43 acre Lake Shangri La can be found just off of route 903 and very close to route 115. Residents of this Fabulous Lake Community enjoy the warm sandy beach at Lake Shangri La, basketball courts, tennis courts, and picnic/ playground facilities. This Community enjoys its abundance of wildlife since it is predominantly surrounded by PA State Gamelands. Hundreds and Hundreds of Acres keep this Community Rustic and Earthy. 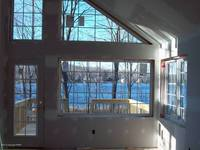 Fabulous Newer Contemporary Lakefront Home in Magical Camelot Forest. 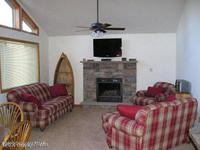 Just steps away from the beach for swimming and also just 3 miles to Jack Frost Ski Resort for Winter Fun! Enjoy The 4 Bedrooms, 3 Baths, Wrap Around Deck w/Covered Porch, Pool Table, Air Hockey Table, Playstation 2, Foosball Table, Wet Bar in Family Room, Lots of Glass, Cathedral Ceilings, Stone (Propane) Fireplace, Modern Fully-Equipped Kitchen Plus Tastefully Furnished. 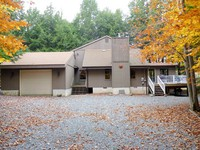 A Beautiful Lakefront Home Beauty in a very quiet and pristine Pocono Mountain Community coming with many extra toys to play with including a Beautiful Hot Tub! 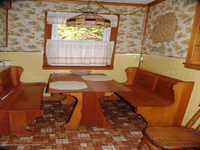 Camelot Forest is a Conservation Community in the tiny Pocono Mountain Town of Blakeslee. 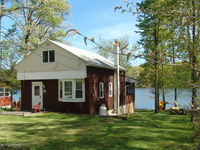 It is very woodsy, quiet, private, and backing up to the Pocono Lake Preserve in some parts of the Community. The Community offers an average size parcel between a half to a full acre. 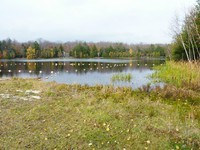 Camelot Forest boasts 2 Lakes, Tennis Courts, and a nice beach. The Forest at Camelot is also great in location being close to some favorite Pocono Mountain Attractions such as Split Rock Resort, Big Boulder/Jack Frost Mountain, Pocono Raceway, and much more. Contact Me to know more about this Beautiful Home in the Forest at Camelot! 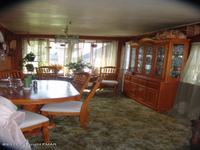 This home is being offered BELOW Appraised Value. 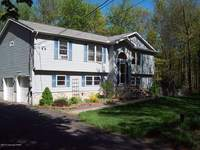 This immaculately clean and well cared for Pocono Raised Ranch Style Home has an open floor plan with bright airy rooms, a Propane Fireplace in Living Room and a Great Family Room, Pex Plumbing, Instant Tankless Hotwater System and That New Home Smell.This home also comes along with a huge deck and a screened in porch round out this Amazing Deal of a Towamensing Trails Property. 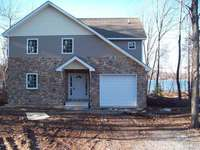 Towamensing Trails homes are in the Jim Thorpe School District. 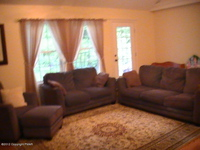 This home comes with 2 - Car Parking, a Breakfast Bar, Well Water, and a Fully Finished Basement. 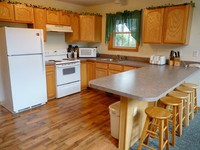 Summertime Rental in a Blakeslee Private Community! Exquisite Home in Beautiful Emerald Lakes Community! 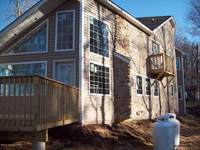 A Pocono Mountain Rental Beauty Still Available This Summer! The Quintessential Mountain Chalet in Sought After Big Bass Lake Community. 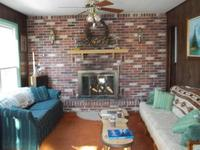 Tile and Hardwood Floors Tastefully Blended in With Modern Wall to Wall Carpet and Granite Counters! 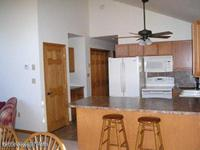 Everything You Could want in a Mountain Chalet and Much More! Come Make your Mountain Memories HERE! 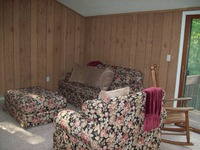 Just over a Half Mile Walk to The Beach on Big Bass Lake and 1.35 Miles to The Pool complex! 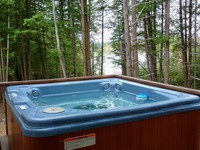 Big Bass Lake offers it's own big list of Amenities including Tennis Courts, Pools, Beach, Playgrounds, and much more. 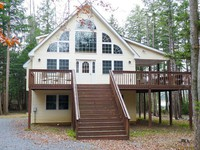 This is a home that sleeps 12, and it is great in location at Big Bass Lake being not far from the pool or beach! 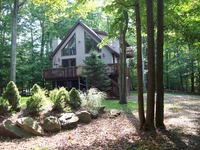 This Beautiful Pocono Mountain Rental Home is still available for the Summer of 2012. It won't be here for long! 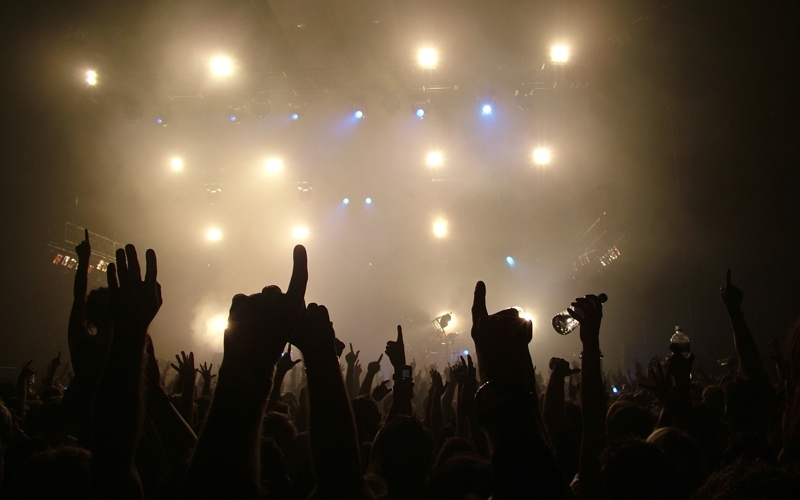 Contact Me to know more about the Big Bass Beauty Rental! 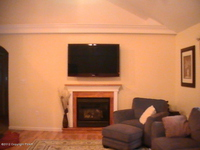 A Pristine Ranch Near The Pa Gamelands in Thornhurst! Today is the day The United States of America commemorates the adoption of the Declaration of Independance which happened this day in 1776. It is important for all Americans to remember when the Greatest Country in the world began, and to remember the Brave Ones who were there. So on this day of history while you're picnicing, having a barbecue, lighting off fireworks, having a family reunion, or drinking a cold one, remember the day the Second Continental Congress voted to approve a Resolution of Independance. None of our celebrations, or anything in America would be possible if it weren't for The Great Americans that came way before us. 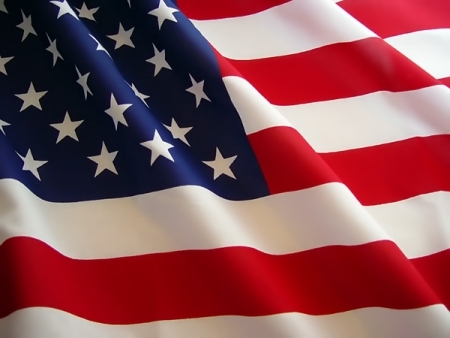 Happy Independance Day to my brothers and sisters who live in the Land of the Free! The Rock Musical about the trials, tears, and exhilaration of the teen years is coming to The Sherman Theater in Stroudsburg Pennsylvania! The musical based on the 1892 German play by Frank Wedekind celebrates the unforgettable journey from youth to adulthood with a power, poignancy, and passion that you will never forget! This is a classic musical that has gained much success in theater winning itself 8 Tony Awards and being voted "Best Musical of the Year"! The musical is for mature audiences only. Tickets are $15 for seniors and $17 for adults. The Musical comes to The Sherman Theater on Main Street in Stroudsburg Pa July 6th and July 7th 2012. Come enjoy "Spring Awakening"! Another piece of theater coming to The Sherman is "A Funny Thing Happened on the Way to the Forum". This play was inspired by ancient Roman playwright Plautus (251 - 183 BC) and it tells the story of a slave named Pseudolus and his attempts to win his freedom by helping his young master woo the girl next door. This is a fun and upbeat show for the whole family. Tickets are $13 for children, $15 for seniors, and $17 for adults. A Funny Thing Happened on the Way to the Forum comes to The Sherman Theater on Main Street in Stroudsburg Pa on August 2nd and 3rd at 7:30 PM.